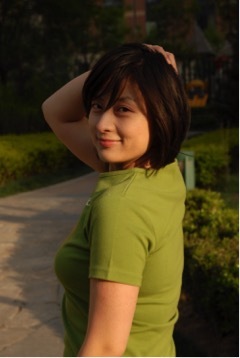 Haitao Fan has been working as a financial journalist for the Beijing Youth Daily since 2002. In 2009, she wrote an autobiography for the former CEO of Google China, Dr. Kai-Fu Lee, which sold more than 1,000,000 copies. From 2011-2013, she studied at OHMA as the first student from Mainland China. After graduation, she worked as the first reporter based in Washington, D.C. for Sina, one of the largest portals in China. Haitao then returned home and worked as the China representative for U.S News and World Report. Since October 2015, she has been building her own studio and dedicating herself to oral history interviewing and biography writing. Her new book, Life Begins at Thirty, was launched in March 2016. This book garnered much attention not only in Chinese oral history community but also in the young generation.